Alberta Freeman was born on May 5, 1950 in Hinds County to the late Lucille K. Miller and Jewel Anderson. She went home to live with Christ on Monday, July 16, 2018 at Ocean Springs Hospital in Ocean Springs, MS with her family surrounding her. Yielding her life to Christ at an early age, Alberta joined Hamilton Grove M. B. Church. She worked at Hinds Community College for over 30 years until her health would not allow her to work. On July 9, 1971 she and Charlie united into holy matrimony and to this union three children were born. She was preceded in death by her husband, Charlie Freeman III; son, Alfred; granddaughter, Peaches; sisters Gladys and Belinda Faye; and brothers, Robert Earl and Joseph. 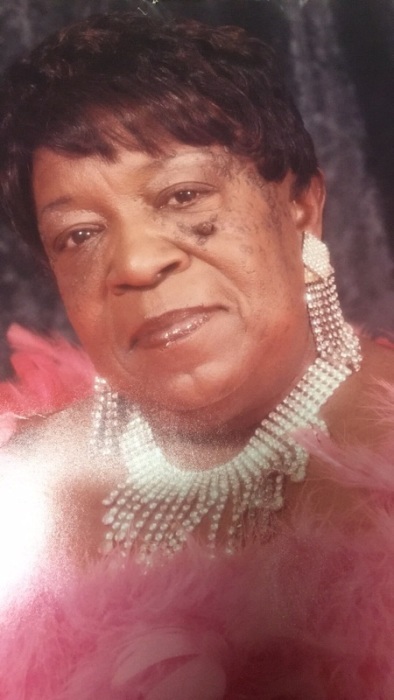 She leaves to cherish her memories: son, Darrian, Sr.; daughter, Vanessa (Pat); honorary daughter, her niece Valarie Davis; sister, Bobbie (Dr. Al Fairley); 8 grandchildren, Anissia NaKira, Darrian, Jr., Shelecia Hopkins, Gerald Denson, KeOndra Cotton, Kambria Cotton, Tiane Davis, and Patrick Jr.; special great grandson, Malachi Smith, daughter-in-law, DaWandra Denson Freeman; 5 sisters-in-law; 4 brothers-in-law; and a host of nieces and nephews.